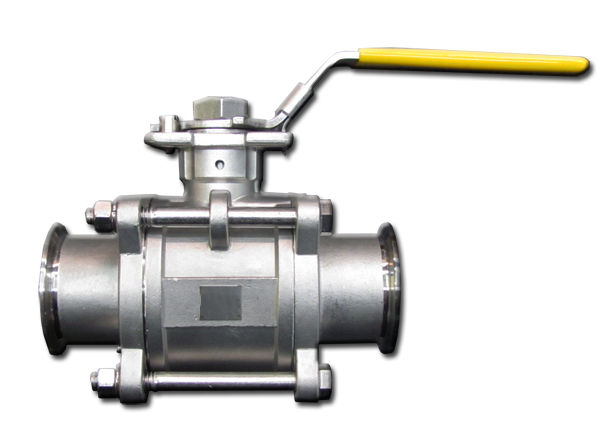 1.Automatic valves: rely on the medium (liquid, gas) to operate on their own, such as sanitary check valves, safety valves, sanitary regulating valves, steam traps, sanitary pressure relief valves, etc. 2.Actuated valves: rely on manual, electric, hydraulic, pneumatic operations, such as gate valves, stop valves, throttle valves, sanitary butterfly valves, sanitary ball valves, plug valves, etc. 1.cut-off: the closure member moves along the center of the valve seat. 2.gate: the closure member moves along the center of the vertical valve seat. 3.plug and ball: the closure member is a plunger or ball, which rotates around its own centerline. 4.swing: the closure member rotates around an axis outside of the valve seat. 5.disc: the disc of the closure member rotates around an axis inside the valve seat. 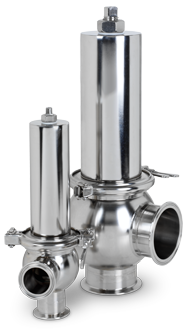 6. slide valve: the closure member slides in a direction vertical to the passage. 1.electric: actuated by a motor or other electrical devices. 3.pneumatic: make valves open and close with compressed air. 4.manual: actuated with the help of hand-wheel, handle, lever, or sprocket. 1.breaking off: used to connect or cut off the pipeline medium, such as stop valves, gate valves, ball valves, butterfly valves, etc. 2.checking: used to prevent backflow of the medium, such as check valves. 3.regulating: used to regulate the pressure and flow of the medium, such as regulating valves, pressure relief valves, etc. 4.distributing: used to change the direction of flow of the medium and distribute medium, such as distribution valves, slide valve, etc. 5.safety valves: used to discharge excess medium to ensure the security of pipeline systems and equipments when the pressure of medium exceeds the specified value, such as safety valves and accident valves. 6.Other special purposes:such as steam traps, vent valves, sewage valve, etc.